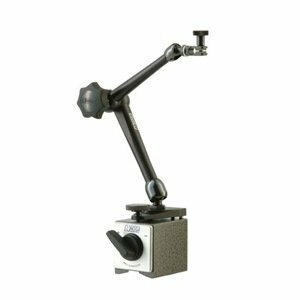 NOGA Heavy Duty Holder With Magnetic Base - Model: MG10533 HOLDING POWER: 176 Ibs Top Arm Length: 5.24"
The articulated arm of the Noga magnetic base is capable of reaching every possible position - even upside down. It is an auxiliary tool for any general measurement and helps to increase precision and working efficiency. Noga magnetic bases are capable of a 360 rotation and offer considerable versatility. These magnetic bases also come with fine adjustments that make them well equipped for fine operations. Easy to set up gages into required position. 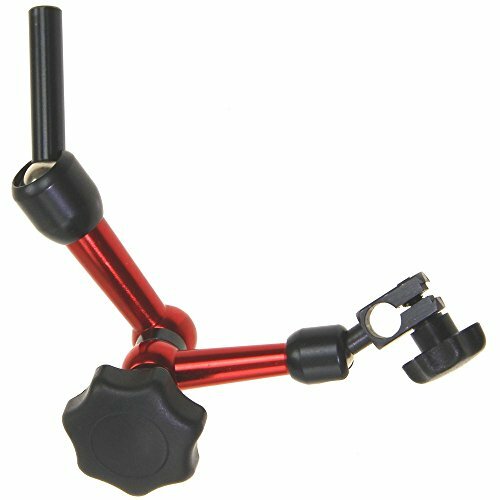 Fine adjustment universal swivel clamp. Holds 3/8, 6mm, 8mm and dovetail. Powerful 176 lbs. on/off magnetic base. Holds 3/8" stem and dovetail. Noga unique central locking mechanism with spring loaded bearing. Powerful 176 lbs. on/off magnetic base with fine adjustment. Bottom arm length: 5.26" Top arm length: 5.24" WARNING: This product can expose you to chemicals which is [are] known to the State of California to cause cancer and birth defects or other reproductive harm. For more information go to www.P65Warnings.ca.gov. Holds 3/8" stem and dovetail. Noga unique central locking mechanism with spring loaded bearing. Powerful 176 lbs. on/off magnetic base with fine adjustment. Precision measurements and set-ups have never been so easy. Magnetic base engages with just the turn of a switch and allows pinpoint adjustment. The dial indicator features 0-1-Inch travel and has a resolution of 0.001-Inch. This fine set includes a molded case for protection and convenience. Holds 3/8" stem and dovetail. Noga unique central locking mechanism with spring loaded bearing Powerful 176 lbs. on/off magnetic base with fine adjustment. Bottom arm length: 4.33" Top arm length: 3.98" WARNING: This product can expose you to chemicals which is [are] known to the State of California to cause cancer and birth defects or other reproductive harm. For more information go to www.P65Warnings.ca.gov. The Starrett 657Y indicator attachment is designed to attach a lug back indicator to an indicator holder. The attachment has one 1/4" (6.3mm) outer diameter end and one threaded end and fits the lug back of all American Gage Design (AGD) indicators (Starrett series 25, 81, 655, and 656) and Starrett series 80 miniature indicators. Magnetic bases are magnetic fixtures commonly used in metalworking to hold dial indicators, and are also used in other fields, such as optics. Magnetic bases can assist the user with setting up a workpiece in a milling machine, surface grinder, or other machine tool. The vertical post and rod in a magnetic base connect using swiveling connectors, or snugs. This allows free motion of the arm so that the dial indicator can be moved into position on the workpiece. Many magnetic bases have a V-step, which is a V-shaped notch in the base for holding the base to arbors, shafts, and other cylindrical items. The magnetic base has a circular hole through the center. A round permanent magnet is inserted into this hole, and a handle or button is attached to allow the user to rotate the magnet. Rotating the magnet turns the base on and off as this causes the position of the magnetic field to rotate as well. In the on position, the iron is acting as an extension of the magnet, while in the off position, the magnet is acting as a keeper, preventing the magnetic field from extending through the base. Most useful for centering holes on milling machines. Test indicator holder arm with 8mm diameter x 40mm long stem. 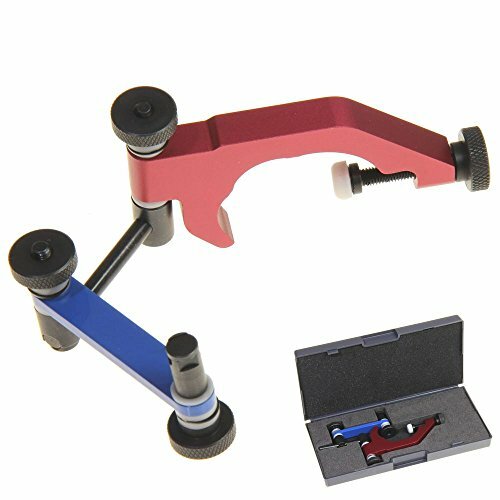 Anytime Tools Uni Holder Quill Clamp For Test Dial Indicator Bridgeport Mill Machine Clamping Diameter 1-7/8"
High Quality Professional Grade Tool This is the best companion for your BRIDGEPORT. Mounts with single pressure screw directly on machine quill, bypassing the working tool. Standard 1-7/8" clamping diameter. Features: ALL METAL construction (washers are nylon) Clamping Diameter 1-7/8" Length from clamping bracket to indicator 4-1/2" Reach from 0-12" diameter Suitable for all indicators with 5/32" shank (stud) Adapts immediately for positive and fast indicating Mounts with single pressure screw directly on machine quill, bypassing the working tool Frame is designed with bearing pads properly spaced and an opposite pressure screw securing the rigidity of the mounting The desired stiffness is adjustable and is not altered by the pivoting of the joints Padded case included! For Noga Models #NF61003, #DG61003, #MG61003, and #MA61003. 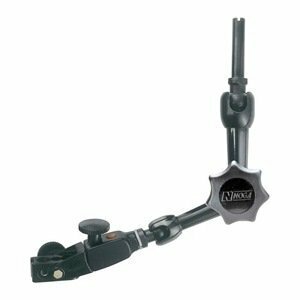 Fowler Flex Arm Base and Indicator Combo. Brand: Fowler | Manufacturer: Fred V. Fowler Company, Inc. 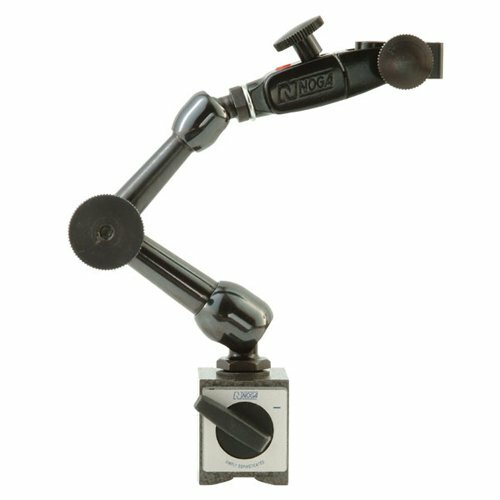 The articulated arm of the Noga magnetic base is capable of reaching every possible position - even upside down. It is an auxiliary tool for any general measurement and helps to increase precision and working efficiency. Noga magnetic bases are capable of a 360 rotation and offer considerable versatility. 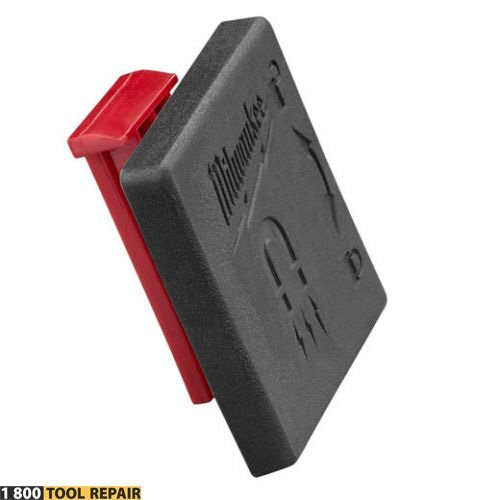 Avoid work stoppage by increasing precision and measuring efficiency with this handy dial holder. 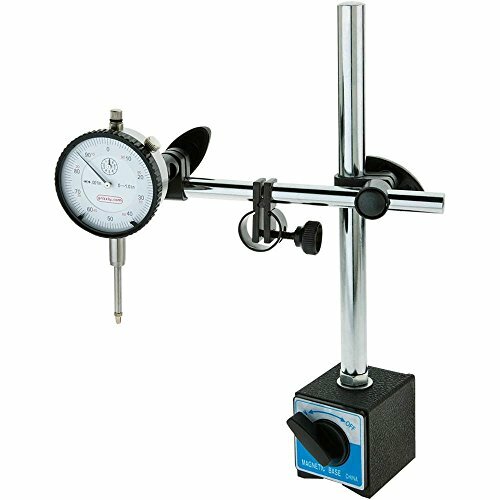 Its strong magnetic base and superior holding power clings firmly to any non-ferrous metal component, supporting the gage for more accurate measurements. 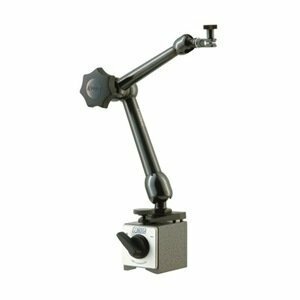 Capable of 360 rotation for maximum versatility, the articulated arm reaches every possible position, even upside down. 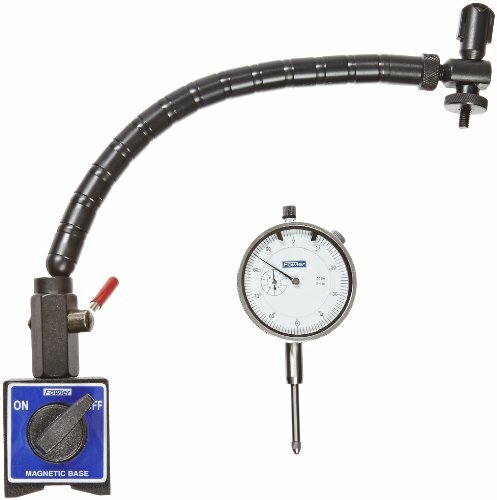 Adjustable settings on top and a universal swivel clamp make this gage holder incredibly useful for many fine operations. It also functions as an auxiliary tool for general measurements. 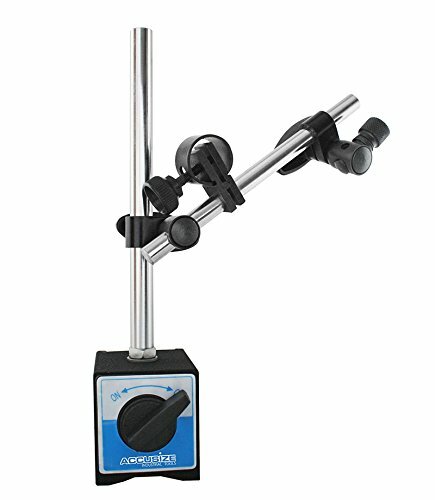 Powerful auto on/off magnetic base supports up to 176 lbs. Has unique central locking mechanism with spring loaded bearing for easy set-up. Fine adjustment on universal swivel clamp. Holds 3/8, 6mm, 8mm and dovetail. Powerful 70 lbs. on/off magnetic base. Noga PH2040 Magnetic Base With Fine Adjustment Dial, Test & Digital Indicators WARNING: This product can expose you to chemicals which is [are] known to the State of California to cause cancer and birth defects or other reproductive harm. For more information go to www.P65Warnings.ca.gov. Improved fine adjustment on the magnetic base. Solid arm locked by using the unique 3 point clamping system. 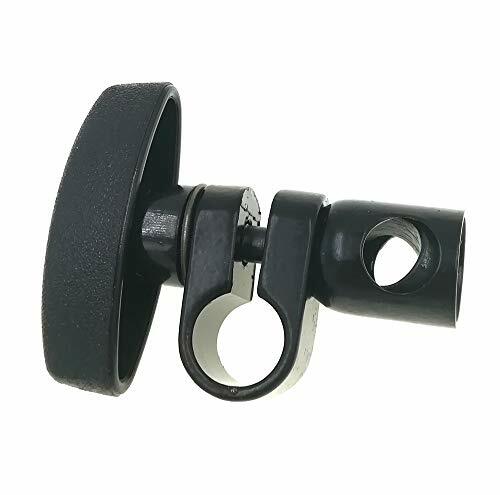 Universal swivel clamp for 3/8, 6mm, 8mm, dovetail and back lug. 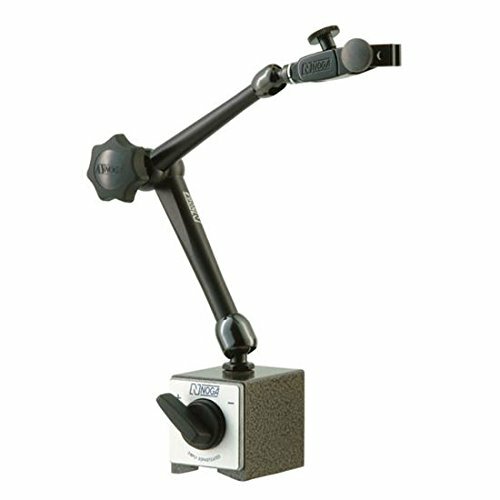 used for reading the difference from a specific surface reference point. Continuous dials are used for direct readings and usually have a larger measurement range than balanced dials. Up to 10 revolutions, each revolution equal to 0.10"
H is height, the vertical distance from lowest to highest point; W is width, the horizontal dis tance from left to right; D is depth, the horizontal distance from front to back. Dial indicators are also called dial gages, probe, and electronic indicators. 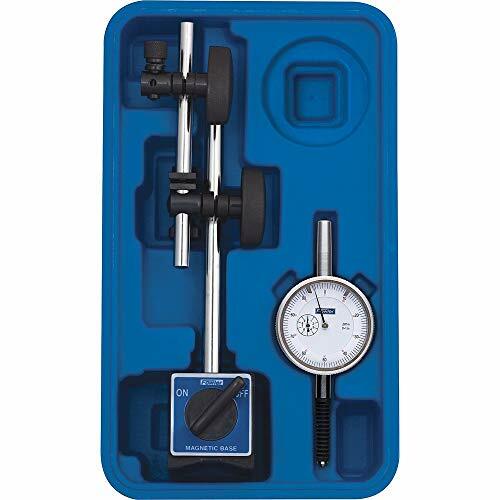 These precision instruments measure small linear distances and object sizes. The dial magnifies the measure ment so that it can be easily read by the human eye. Frequently used in manufacturing, lab oratories, and other industrial or mechanical fields, dial indicators are used anywhere a small measurement must be found and recorded or transferred, such as checking the variation in tolerance of a workpiece. Standard dial indicators measure the displacement along the axis of the indicator. Dial test indicators are very similar to dial indicators, except that the axis of measurement is perpendicular to the axis of the indicator. Dial and dial test indicators can be analog, with a mechanical dial, or electronic, with a digital display. Some electronic models transfer the data electronically to a computer for recording and potential manipulation. 2 arms dimension: Lower arm 4.5"; Upper arm 4"; Total Height 14.1"
Brand: Clockwise Tools | Manufacturer: Clockwise Tools Inc. Precision Tool Holder from Anytime Tools Used for centering of workpieces on a milling machine Features: 3 Dimensional Holder for Test Indicator Unique Central Locking Knob secures both arms and holder Holds indicator with 3/8" stem or dovetail. Holds indicator with 3/8 stem or dovetail. MAGNET HOLDER. The product is easy to use. The product is durable. The product is manufactured in China. 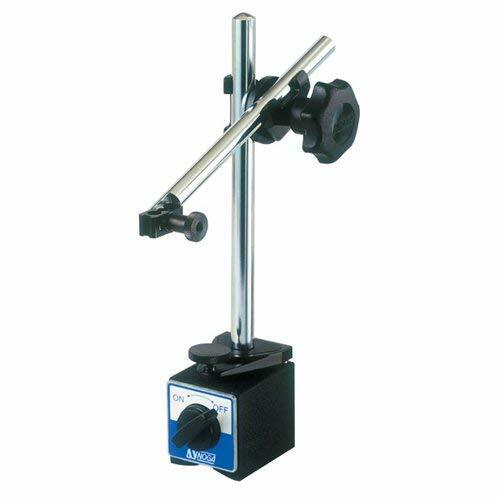 Magnetic Base Features: Fine adjustment Base dimensions: 2 x 2-11/32 x 1-13/16 Also mounts test indicators with 1/4 post. 85 lb. pull On-Off lever release magnet. V-base for placing on round surfaces. X-Proof Indicator Features: Travel: 1 Reading: .001 Continuous reading: 0-100 Tolerance markers AGD Group 2, 2-1/4 dia. Lugback and carbide point. Robust, shockproof design. Rubber bellows on stem. O-ring seal on safety cap. O-ring protection for bezel and rotating dial. Sealed back plate. size: D10-D12 10mm diameter hold & 12mm diameter hold . Bracket Fixed Clip For Magnetic Dial Indicator. Sleeve Swivel Clamp fits fixing oil pipe etc. 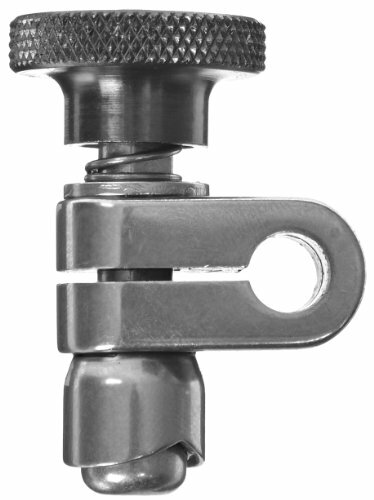 Package include:1 Sleeve Swivel clamp. 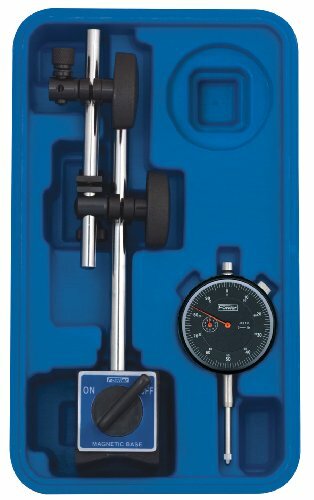 The Starrett 657S snug has two 1/4" (6.3 mm) holes to adapt Starrett 196, 650, and 651 series dial test indicators and 657Y indicator attachment for use with the Starrett 657X rod (not included),. A knurled thumb screw provides secure grip when making adjustments. Test indicator gauges, also called gages, are precision instruments that measure short linear distances. They are commonly used for detecting deviations from tolerance limits, such as small variations in flatness or height of an inspected workpiece, and permit measurement in narrow grooves or small bores. A test indicator gauge consists of a ball-tipped contact point on a levered arm, also called a measuring insert, which pivots from a hinge point. The reading indicates the degree of angular displacement of the arm. Test indicator gauges are commonly used in manufacturing, machining, and mechanical engineering. Standard test indicators measure the displacement of the arm perpendicular to the axis of the indicator. Dial and electronic indicators are very similar to test indicators, except that the axis of measurement is parallel to the axis of the indicator. Test indicators can be analog, with a mechanical dial, or electronic, with a digital display. Some electronic models transfer the data electronically to a computer for recording and potential manipulation.